The ProTrax SC tire was designed for taking your bike through soft sand and mud conditions with confidence inspiring handling. A durable, "no compromises" alternative without breaking the bank. Designed for Soft-Intermediate terrain. 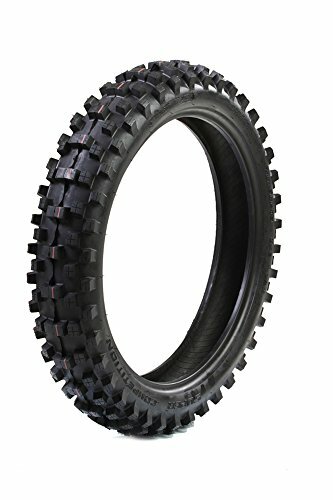 The ProTrax SC tires offer excellent mud, sand and all around performance.Tread spacing reduces mud build up for better all around performance, including braking and cornering. Load / speed index: 51M for front, 59M rear. Large center knob design is excellent for offers stability where others fail. Directional tread design for better hookup exiting soft corners. Mid shoulder knobs cut for better cornering confidence. Tough 4-ply construction provides puncture resistance and durability. Soft terrain tires that stack up to the competition in all areas. If you have any questions about this product by ProTrax, contact us by completing and submitting the form below. If you are looking for a specif part number, please include it with your message.